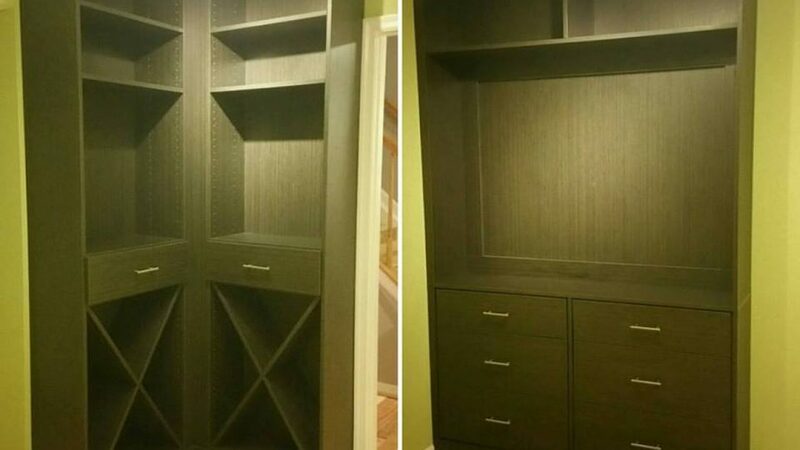 Master Bedroom Wardrobe Unit. 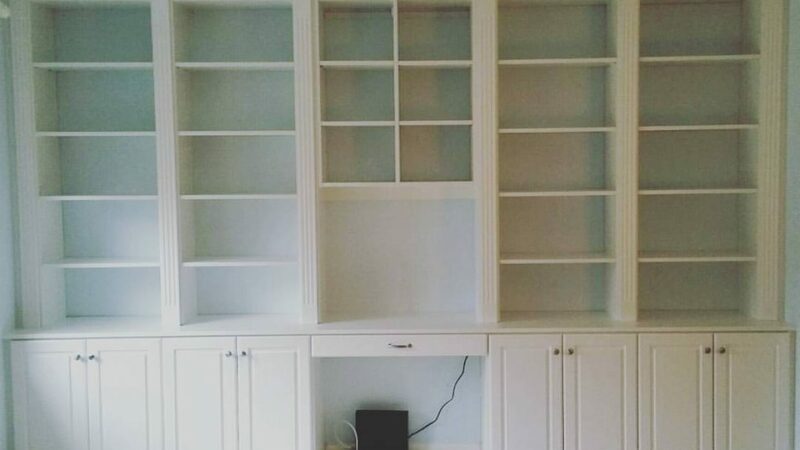 White with Crown Moulding, Raised Panel Doors, and Moulded Drawers. Garage with upper and lower storage. 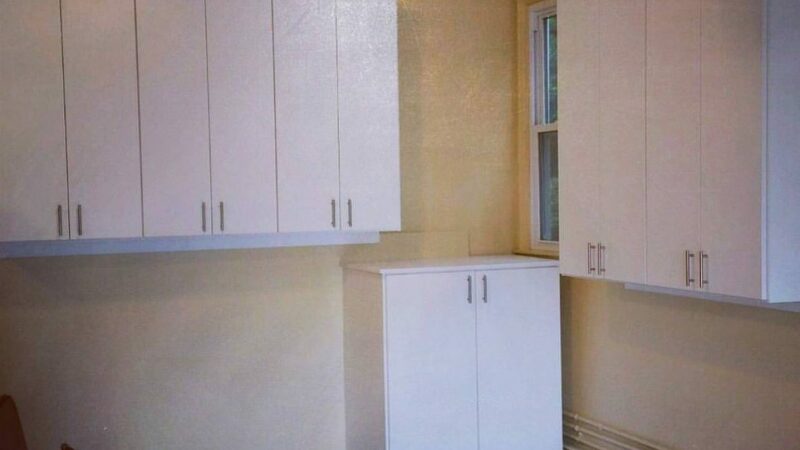 2mm flat fronts on all units in White color. 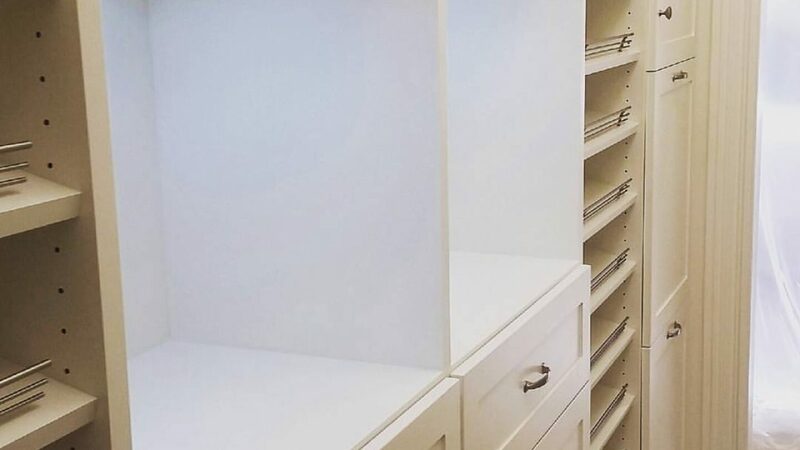 Stunning Oasis Master Closet in White. 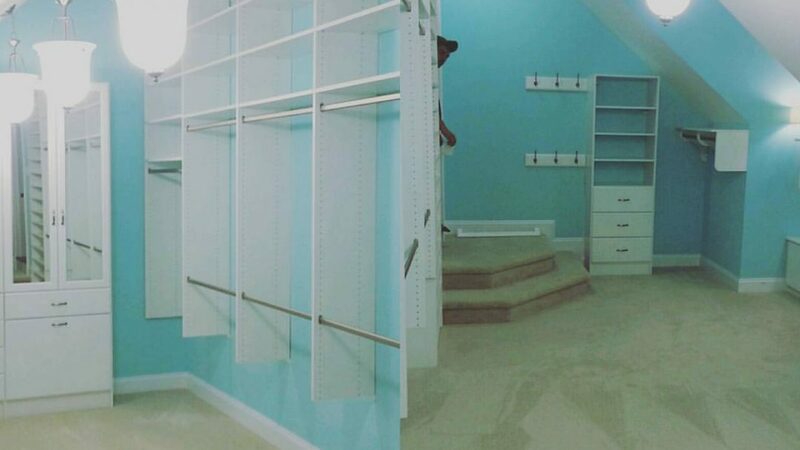 Mirror Framed doors, double hanging with custom extra height. Floor and Wall Mount. 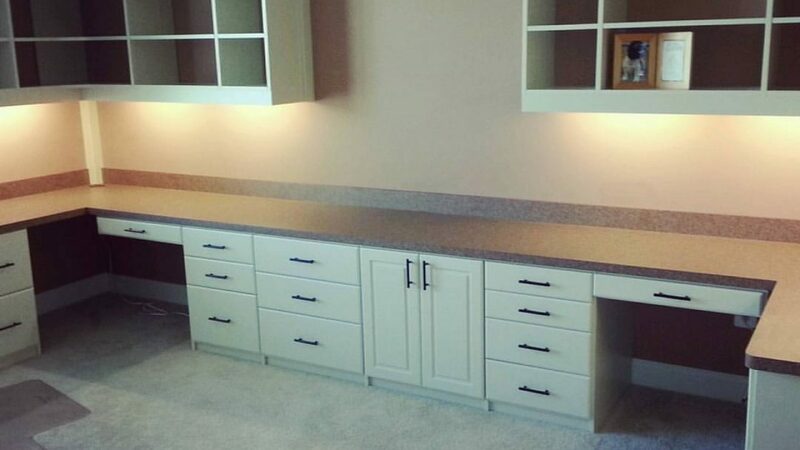 Lighted Master Closet. 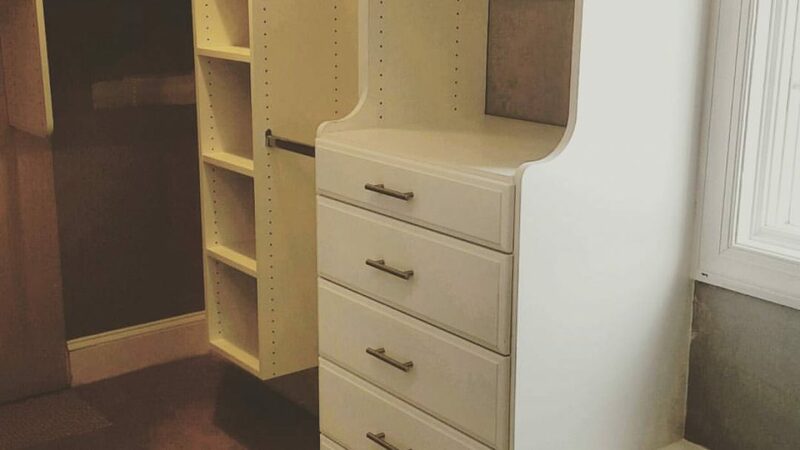 Shaker Style Drawer fronts, slanted shoe shelves, and painted mdf material. Candle color Home Office. 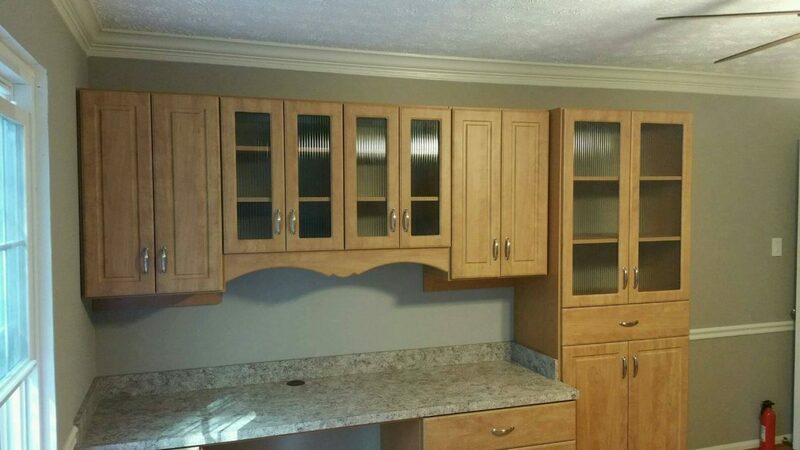 Decorative arched trim with Raised Panel doors and moulded drawers. 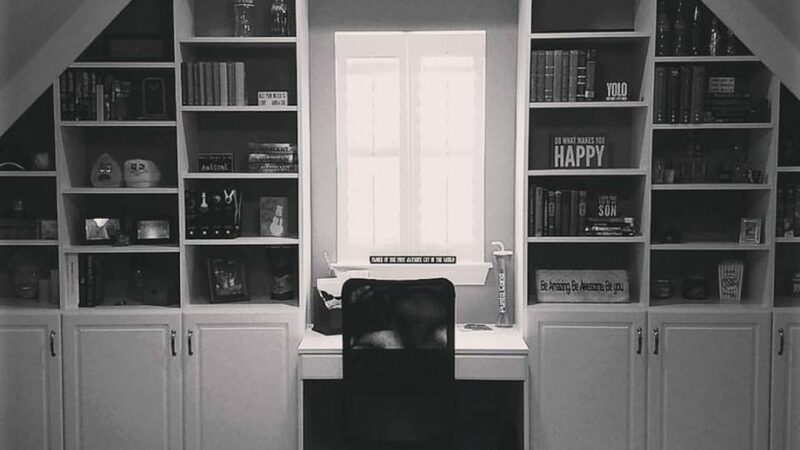 Home Office with Desk in center. 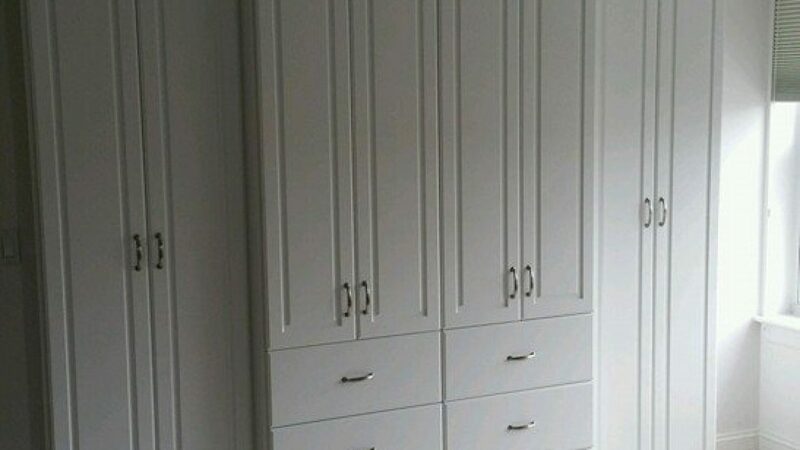 White Fluted Columns and Raised Panel Doors. 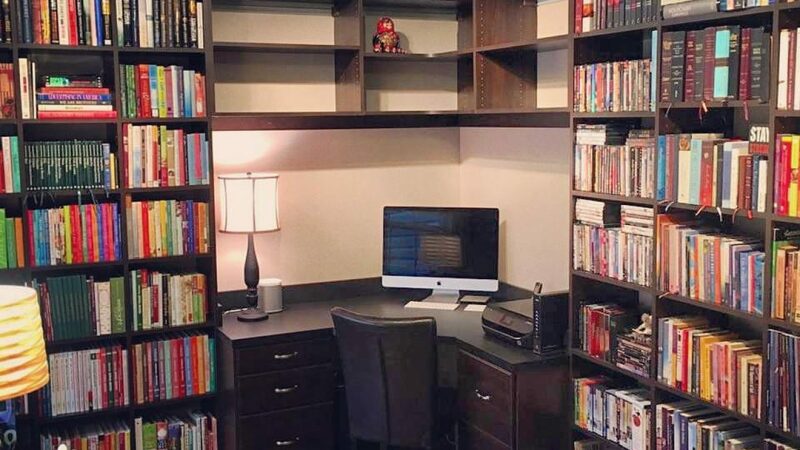 Custom Home Office. 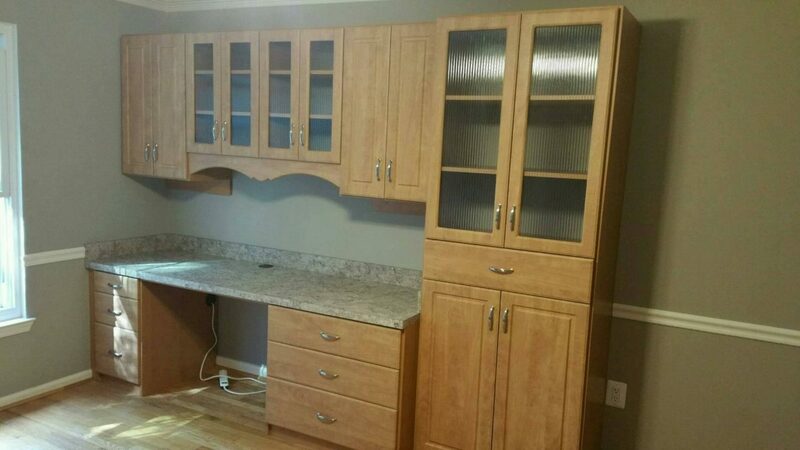 Desk, storage behind Raised Panel Doors, and shelving custom cut to match ceiling.